CT Cloud Boost delivers enhanced network stability by directly connecting CallTower data centers to a customers’ network. South Jordan, UT and Boston, MA - CallTower Inc., a global leader in delivering cloud-based enterprise-class unified communications and collaboration solutions, announced today their new CT Cloud Boost solution. CT Cloud Boost delivers enhanced network stability by directly connecting CallTower data centers to a customers’ network. 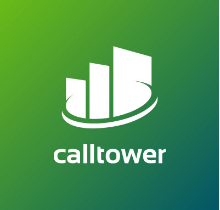 CallTower’s customers using hosted Microsoft, Cisco, CT Cloud Voice, Contact Center platforms will realize optimal performance via intelligent load-sharing across multiple Internet connections including dynamic failover between circuits.